Sarasota Tree Care Services is your leading provider in residential and commercial care in the Osprey, FL area and other nearby communities. If it’s anything to do with tree care, whether the issue is pruning to stump grinding to removal, our team can take care of the job. Our experience and known track record makes us a number one choice in terms of customer service in the area, and we constantly have a “can do” attitude when it comes to the job. No job is too large or small, and we work tirelessly until the area is completely cleaned up and removed, and the issue is resolved. These are the same principles we work by, whether the work is at a home, business, or development side. We believe in proper care for all trees and shrubs, and we work in a way that controls disease and encourages strong growth. Whether they are damaged by a storm or simply need maintenance, we can help. Our trained arborists on staff examine them thoroughly, and then go about removing what needs to be removed in terms of diseased branches. This is essential when it comes to overall growth, as well as light and air ventilation. Florida homeowners are often proud of the trees on their property, and we want to keep it that way, constantly making sure that they are in optimal health. There are certainly situations where trees have to be removed because they end up becoming a safety hazard. If one is dying or crowded around other structures or trees that could affect the safety of the neighborhood, feel free to contact us. We have experience when it comes to removing one properly, which takes experience and skill. 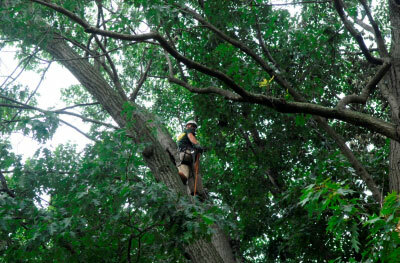 Our staff knows how to remove trees quickly and efficiently and navigate around certain obstacles. For example, if the tree is close to other structures or power lines, we not only have the experience, but the equipment, to handle jobs like this. We encourage homeowners and business owners to not put their own safety on the line because it can certainly lead to injury. 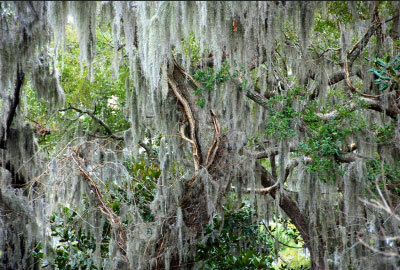 Of course, we also offer excellent tree trimming and pruning services, as well. For those who are unfamiliar with pruning, improper pruning can actually affect the branch structure, which can in turn affect the tree and its overall growth. That’s why our specialists are always on call to offer our expertise. There’s only one call that you have to make with regards to all of your tree care services, and that’s to our staff at Sarasota Tree Care Services. We are dedicated to pruning, trimming, and removal when it comes to trees in Osprey, FL, and our knowledge of the area and of the industry is second-to-none. We know that trees can be a source of pride to the point where they can even improve your home’s value, and we want to keep it that way, so you can be proud of your landscape for years to come. If you want healthy and vibrant trees for years to come, don’t hesitate to call us at Sarasota Tree Care Services today.